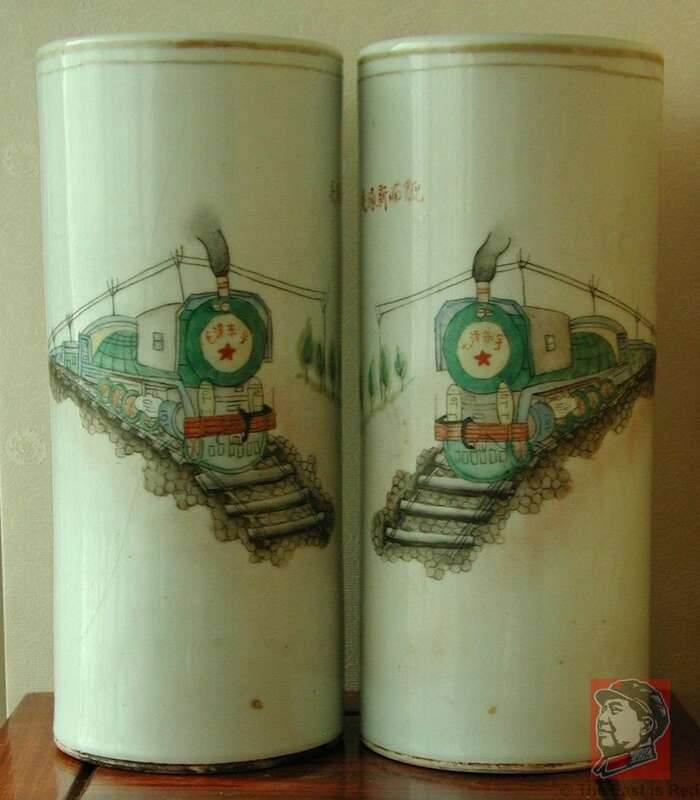 This is a nice pair of vases that show mirrored images of trains, each sporting a, 'Mao Tse-Tung' sign on each hand painted vase, actually signifying that this train is known as the Mao Tse-Tung Train. Each train is beautifully detailed with a slogan above, 'The New Face of Transportation'. The reverse of each vase is hand painted, 'Long Live Invincible Mao Tse-Tung Thought!'. Each vase is 28cm (11 inches) high and 12cm (4.75 inches) in diameter. 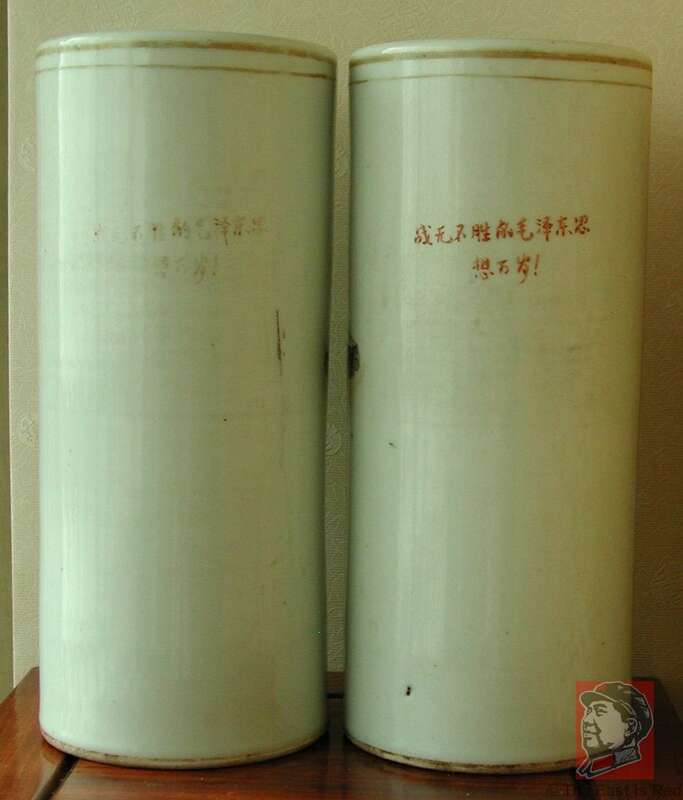 The undersides are marked as being made in Jingdezhan.